Indulge in a bucket-list trip of a lifetime, exploring the wilds of Borneo and the lux of Kuala Lumpur & Singapore...all while savoring the most exquisite foods. Your journey immerses you deep into local culture, including an emphasis on uncovering the best dishes. Learn about the diverse cultures that make up Malaysia and the vast differences between the eastern and western parts of the country, including the wildlife and nature of Borneo. Picture yourself among the monkeys on a canopy walk in the rainforest, eating tropical fruits fresh from local markets, relaxing on beautiful beaches, and navigating old streets of colonial towns. 2019 Dates Coming Soon - Be the first to find out! Annie Cheng is the founder of The Table Less Traveled. Malaysia has always had a special place in her heart because her life has been filled with stories from her dad, aunts, and uncles of their childhood on the island of Borneo. Now she creates her own “Borneo stories” with travelers she hosts in Malaysia. A self-proclaimed “5-foot small bundle of energy”, our naturalist guide Mike Micherwin is definitely the face you want to see on our early morning river safaris. Who else has that much energy and positivity before a cup of coffee? Born in the interior of Borneo, he’s familiar with all the ins-and-outs of the island. As an enthusiastic ambassador of Malaysian cuisine, Ana Abdullah has taken her cooking skills around the world. In addition to being an avid traveler herself, she welcomes foreigners into her long-house inspired kitchen where she regales them with tales of her adventures. Ask her about her royal blood line! Upon your arrival on the island of Borneo our driver will be waiting to take you to our hotel, approximately 15 minutes drive from the airport. After settling in you will meet your tour leader and tour group in the hotel lobby for a short introduction. And then the adventure begins! We'll take a small, commuter boat approximately 30 minutes to a nearby island where we'll have our welcome dinner on a private beach, experiencing local flavors and dishes for the first time. With some local friends we will explore the central market of the town, filled with new sights, sounds, and smells. We'll pick out some local tropical fruits to try before wandering through the downtown area for a quick lunch stop at a kopitiam or "coffee shop." Have no fear, your guides and new friends will help you pick the best dishes and introduce you to the variety of coffee, tea, and drink options. We'll return to our hotel for an afternoon break where you can nap, swim, or stroll along the beach. We’ll meet at the famous sunset bar where we'll watch the sun dip below the horizon of the South China Sea before venturing out for dinner at a night market with various vendor options. Rise and shine for an early departure from our hotel to catch a quick 50-minute flight to the small town of Sandakan, our home base as we discover the wonders of Borneo wildlife. 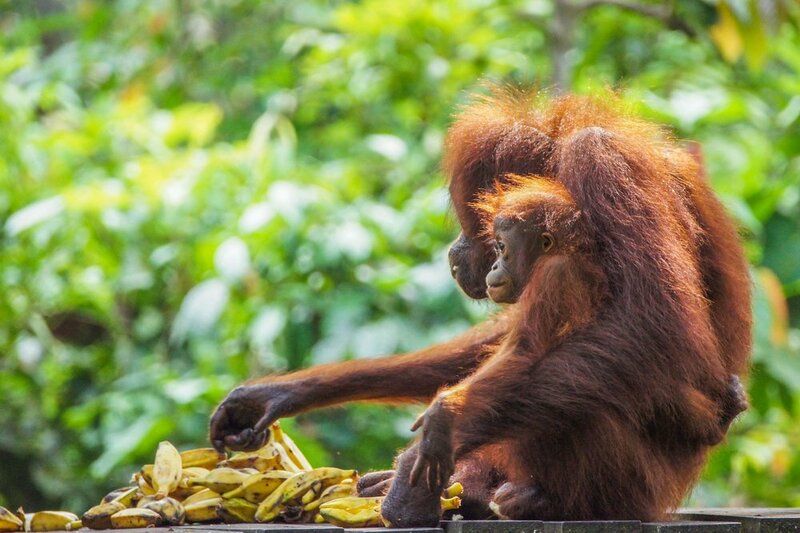 Upon arrival we will visit the Sepilok Orangutan Rehabilitation Center where you'll enter the reserve at feeding time to see orangutans and learn how Malays are fighting to protect these endangered animals and their natural habitat. We will also have a special educational visit to the Borneo Sun Bear Conservation Center where we'll talk with the founder and be led through the center. We’ll check in to our hotel approximately 3:30 and have a few hours to rest and rejuvenate. Meet our guide in the hotel lobby for a short drive to a restaurant for a local seafood dinner. 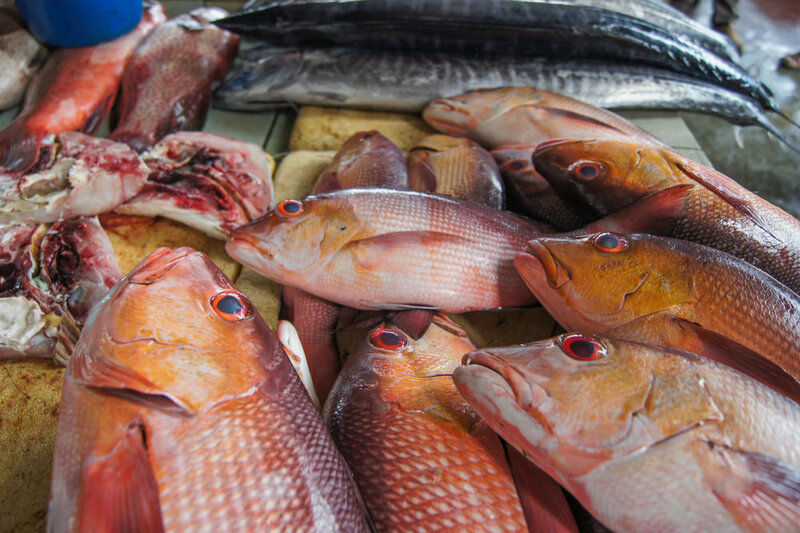 Sandakan is well known among Malaysians for its delicious seafood since it has a major fishing port. We will start our day with a 2-hour boat ride, entering the second-longest river in Malaysia through the Sulu Sea. Accessible by boat only, we will arrive at our eco-lodge where we will spend one night in a secluded, quiet area of the lowland rainforest. All our meals will be provided by the lodge. 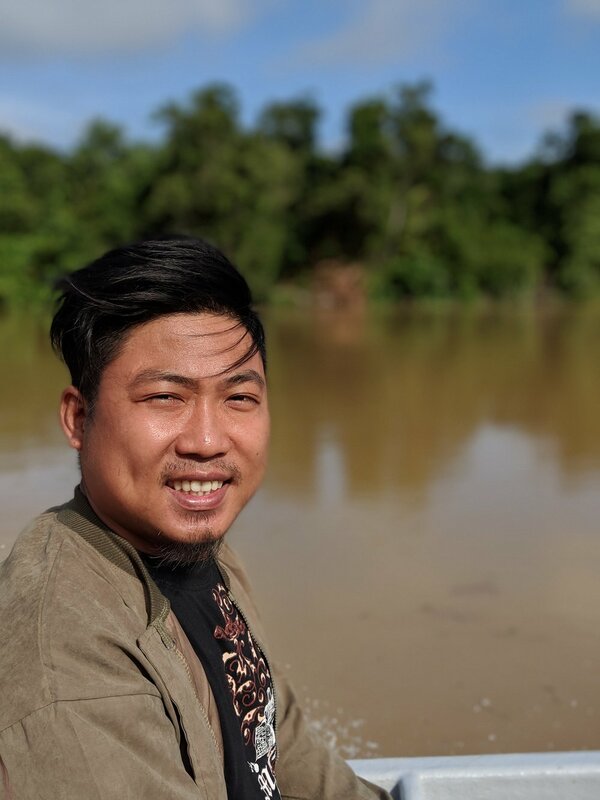 Around sunset we will set off cruising the river, looking for proboscis monkeys, birds, crocodiles, and a multitude of other wild animals with our naturalist guide. Start your early morning with a sunrise river cruise, once again keeping our eyes peeled for the abundant wildlife that is very active around sunrise. We return by boat to the town of Sandakan. With our guide we will stop for a quick lunch in a modern cafe before continuing on to reflect on history at the Sandakan Memorial Park which commemorates the death march suffered by 2,400 British and Australian POWs during WWII. We'll also visit the nearby Buddhist Temple located on a hilltop overlooking the city and bay as we learn about religious customs of the area. To round out our long day we will have a simple dinner before tucking in for a good night of rest. Pack up and say goodbye to Sandakan as we travel by air-conditioned private van past the palm-oil plantations to arrive in a small town about 2.5 hours away. There we will stop at the office of the eco-lodge where we will be staying for two nights to have a simple lunch and check in briefing. Onward we go in 4x4 vehicles through one of the world's oldest rainforests until we reach our eco-lodge, approximately 2.5 hours away. Don't worry - the drive is never boring as the scenery changes from village to thick, dense, lush rainforest where we might even spot some animals along the way. Upon arriving we'll have an opportunity to settle in before our introduction meeting with our naturalist guide where we'll learn about the history of the area as well as the activities in which we'll be participating over the next few days. Enjoy a fabulous dinner by the in-house restaurant, where fresh food is brought in daily from town. We’ll join our guide for a relaxed night safari drive, spotting nocturnal animals who are on the move. Start your morning early with a cup of coffee or tea before we explore the canopy walk with our guide. We'll watch the mist rise about the rainforest, getting a bird's eye view of the morning wildlife activity. And if you're a birder - this is the perfect time to bring your binoculars and enjoy the quiet opportunity to spot some rare species. We'll return to the lodge for breakfast and preparation for an optional hike up to a beautiful viewing platform, passing waterfalls and a tribal coffin built into a cliff. The hike is approximately 3 hours roundtrip and upon return we'll head straight to lunch. Alternatively, if you're not up for a hike you can always stop off for a swim with the fish or dip your feet for "nature's pedicure." We'll take it easy for the rest of the day with optional walks around the lodge grounds. Although dinner is included in your tour package, you are welcome to arrange for your own table and time this evening if you’d like to eat separately from the group on your own schedule. Prepare for a long travel day as we set out from the lodge and say goodbye to Borneo. Our drive to the airport is approximately 2.5 hours. We'll board a regional flight with a short stopover in Kota Kinabalu before arriving in Malaysia's capital city of Kuala Lumpur. Upon arrival at the airport, our private driver will pick us up and take us to our hotel in the heart of the city center, overlooking the entire city and the famous Petronas Twin Towers. Since we will spend most of the day traveling, after we check in to our hotel you'll have dinner on your own to rest and relax. We recommend the on-side restaurant with spectacular views of the night skyline. This morning we meet our local guide for a climb up 272 colorful steps to the Batu Caves where we'll explore one of the most popular Hindu shrines outside India. We'll explore some of the historical industry which brought wealth to Kuala Lumpur before we return to the hotel approximately 4:00 PM. 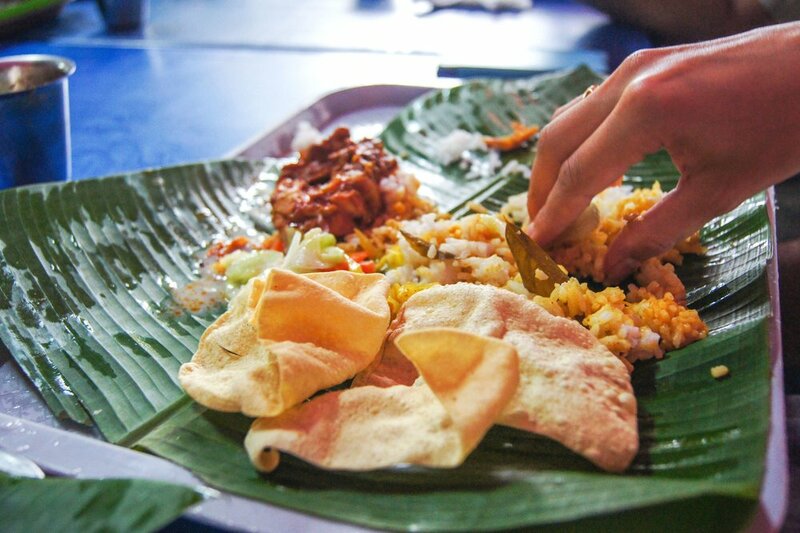 We'll meet our private tour guide who will take us on a walking tour through Little India and Chinatown, picking up tasty treats along the way and trying the local fare. Journey by private van to Chef Ana's long-house inspired kitchen where her team will teach us how to prepare a few traditional Malaysian dishes with local spices and herbs. We'll spend the morning preparing all the ingredients and cooking up a storm before enjoying our own dishes for lunch. From there we will head onwards approximately 2 hours by private van to the small town of Melaka, a UNESCO World Heritage Site. We’ll check in to our colonial-inspired hotel along the river before dinner. Meet our local guide who will begin to explain the significance of this port city once colonized by the Portuguese and Dutch. Let the town's streets come alive with stories as we make our way to a local home where we will be hosted for a delicious meal. Our guide will meet us in the morning to walk us through Jonker and Heeren streets and to have a private tour of the Baba Nyonya Museum. You'll learn how immigrants from China created their own local culture which has endured through modern times. For lunch we'll stop in to one of our favorite Peranakan restaurants, trying this unique cuisine and finishing off with a cooling, refreshing iced dessert. For those folks who are ending their tour in Malaysia we will bid them farewell as their private driver takes them back to the Kuala Lumpur airport. For the rest of the group continuing on to Singapore we will board our private van for approximately a 3-hour drive to the island city-state. During our drive we will cross the border which requires all travelers to walk through customs and immigrations with their luggage. Singapore is a fascinating, small country with the world's third largest GDP per capita. We'll begin our exploration by meeting our chef friend for a dinner like the locals eat - at the hawker center! Then we will tuck in to our boutique hotel in the city center. On our first full day in Singapore we will start the day with a certified guide who will take us on a curated tour of Singapore, focusing on getting off the main roads and tourist attractions. First, we visit a local home in a government housing sector of the city. We learn about housing in this densely populated country with minimal land. And then we continue to see historical homes like shophouses as we learn about the city's transformation from a sleepy fishing village to a critical trading port under the British East India Company. After a delicious lunch in Chinatown, ending around 1:30 PM. we will have some free time in the afternoon. We'll meet our guide again for a short 30-minute cruise on the river to see Singapore from a different perspective. 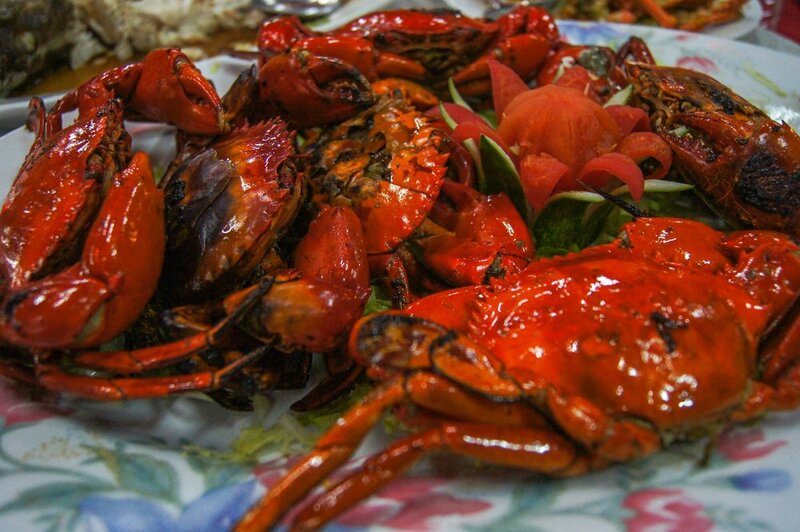 We'll then arrive at dinner to have Singapore's famous chili crab! Peek at the beautiful buds at the 74-hectare botanical gardens while we spend a peaceful morning among the flowers, especially Singapore's famous orchids. After a local lunch ending about 2:00 PM, have the afternoon free for shopping, relaxing by the pool, or getting a Singapore Sling at the Raffle's Hotel Bar. For our farewell dinner we'll indulge in modern Singaporean cuisine, a creative twist on the traditional food of Singapore you'll have throughout your journey. Enjoy your final day in Singapore before our private drivers take you back to the Singapore airport (approximately 30 minutes) for your international flight. 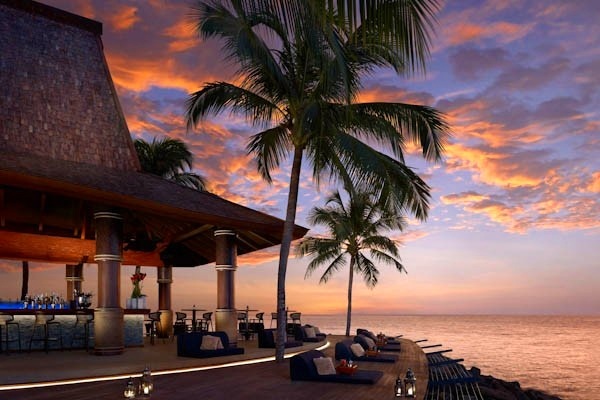 To book an extension or inquire about pricing on a customized itinerary to extend your vacation in Malaysia, call us at 425.894.8976 or contact us.